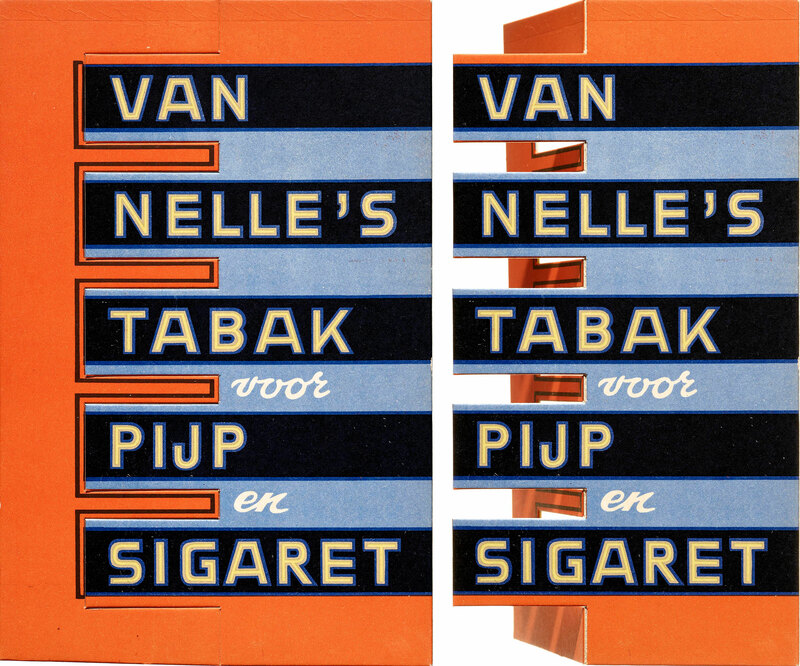 A large collection of objects by an under-appreciated Dutch modernist demonstrates the branding power of lettering and color. 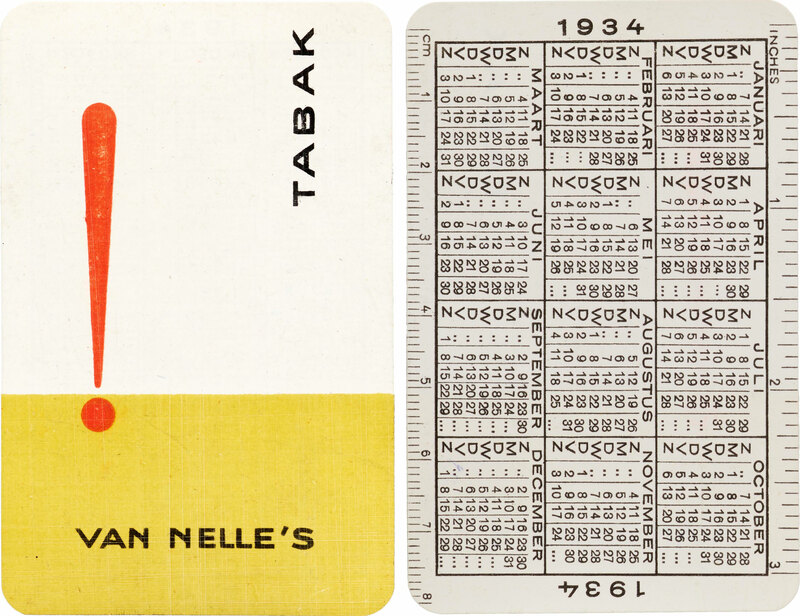 Our holdings of packaging design recently got a significant boost with the addition of several hundred objects created by Jacob (commonly signed “Jac.”) Jongert in the 1920s and ’30s for Van Nelle, a Rotterdam-based manufacturer of coffee, tea, and tobacco. 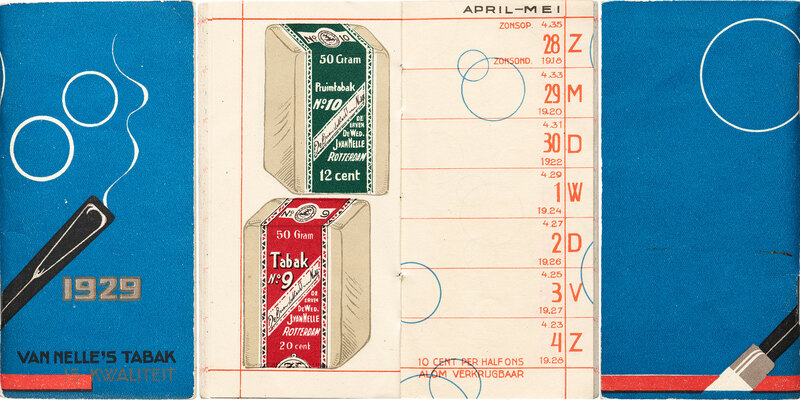 The extensive and varied collection includes labels, boxes, tins, in-store displays, posters, advertising, and other collateral, like pocket notebooks and calendars. The work exemplifies a historical shift in architecture and design from ornamentation to functionalism, and represents the peak of Jongert’s long career in commercial art. Jongert’s artistic life started at the beginning of the 20th century studying and working with the renowned artist and designer Richard Roland Holst. Holst’s William Morris-inspired woodcuts, posters, and paintings followed the Arts and Crafts ideal of clean form, but were still full of ornamentation, and Jongert’s work initially followed suit. Much of his lettering from the period had the serifs, curves, swashes, and other decoration we associate with Art Nouveau. His transition to more functional design started sometime in the early 1920s in the advertising department at Van Nelle, a well-established company whose trading roots went all the way back to the early 19th century. Within a few years he led their advertising department and transformed a very traditionally designed brand into a modern program of marks and packaging. 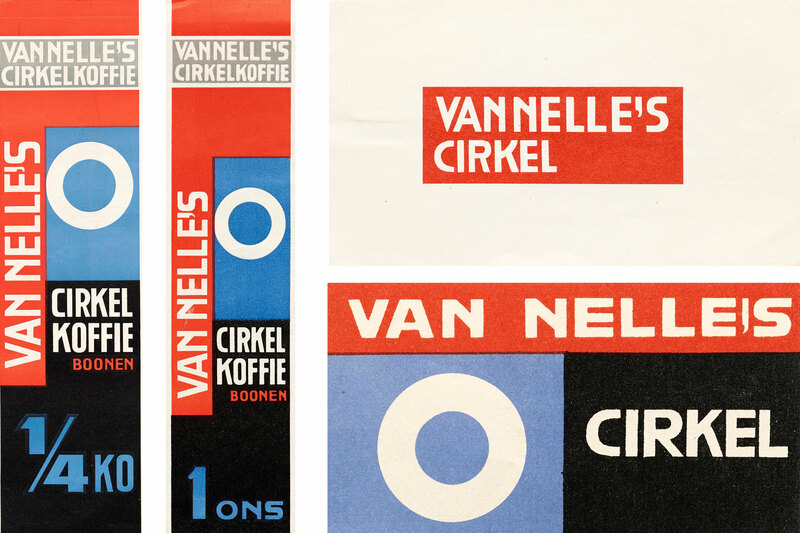 An early Van Nelle poster by Jongert combines the brand’s traditional coffee package with Jongert’s bold new identity system. Compare to Jongert’s label designs below. Jongert’s Van Nelle system is characterized by large fields of mostly primary colors, geometric shapes, and minimal illustration. 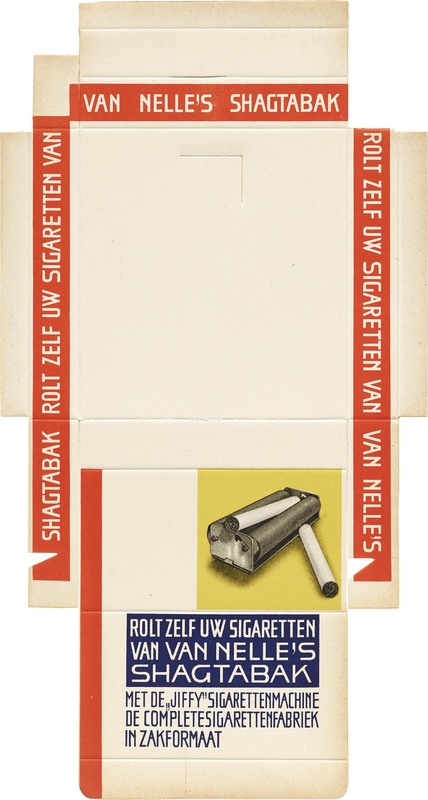 The design perfectly complements Van Nelle’s short and simple brand names like Cirkel (circle) coffee, Kubus (cube) tea, and Boei (buoy) tobacco. 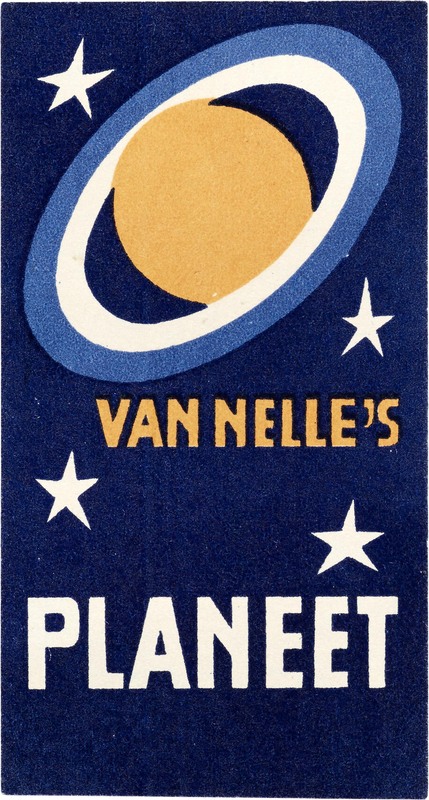 Van Nelle’s Cirkel coffee and coffee beans labels, ca. 1930. 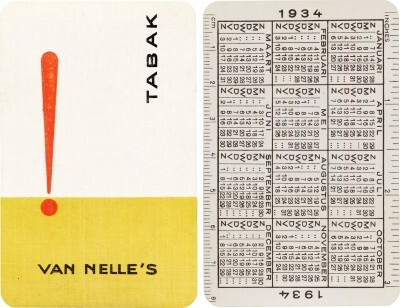 Van Nelle’s Kubus tea labels, ca. 1930. Van Nelle’s Boei Tabak unopened package, ca. 1930. 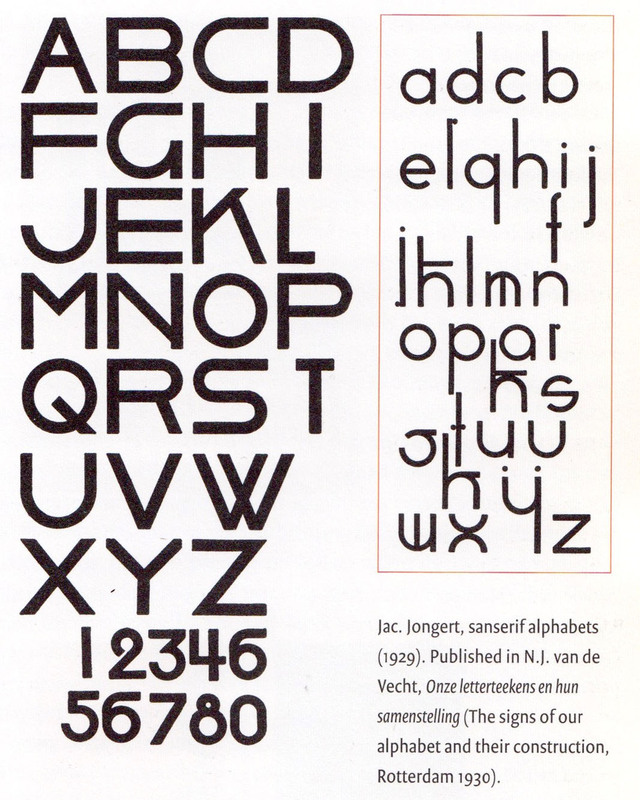 Jongert’s uppercase alphabet reproduced in a 1929 lettering manual reflects his model for Van Nelle. 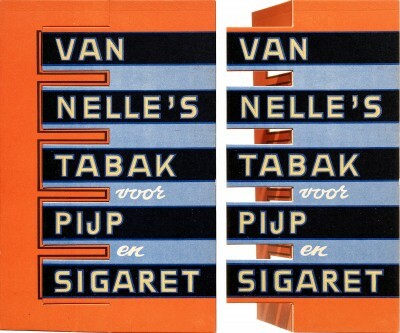 Image: Jan Middendorp, Dutch Type , 010 Publishers, Rotterdam, 2004. The top and sides of a large storage tin (37 × 41 × 29 cm) show the flexibility of Jongert’s lettering style. 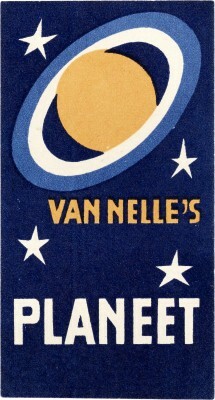 Jacob Jongert, Van Nelle’s Planeet coffee tin, Rotterdam, ca. 1930. 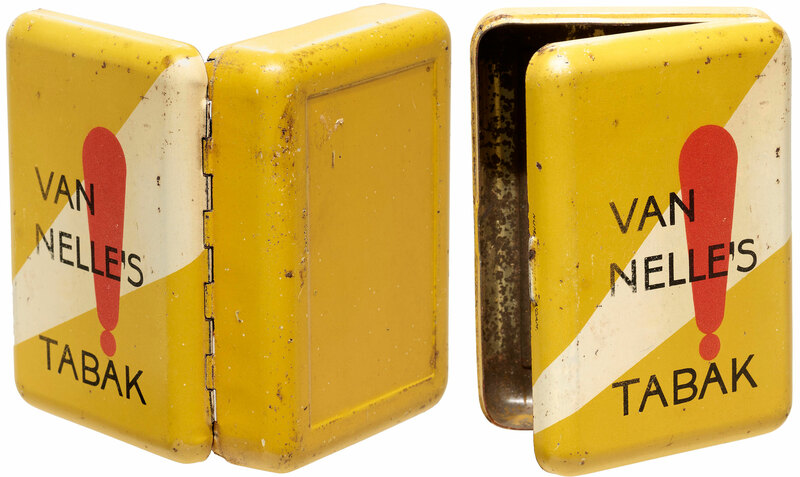 As an example of early modernist design for commercial goods, the Van Nelle material is an interesting companion to our collection of Piet Zwart’s output for the Bruynzeel lumber company and NKF (Netherlands Cable Works). Both designers’ work for these brands was strikingly modern and typographic, dominated by simplicity and straight lines, yet Jongert felt Zwart’s avant-gardism to be too stark and dogmatic. Zwart’s early work for Bruynzeel and NKF is constructed primarily with type, set in structured frameworks with limited color and photomontage; Jongert’s, in contrast, is based on variable lettering amid a broader palette of bright hues and illustration. It’s fascinating to compare the two collections of groundbreaking identity work from the same period, with so much to appreciate about both approaches. All images in this gallery are hi-fi captures. Click an image to enter fullscreen view, then pinch or use browser zoom to enlarge. Jongert may not be as well known as other Dutch modernists, but his work immediately grabs you, just as it must have grabbed a shopper’s eye in 1930. We are excited to hold and share such a complete range of a single brand. 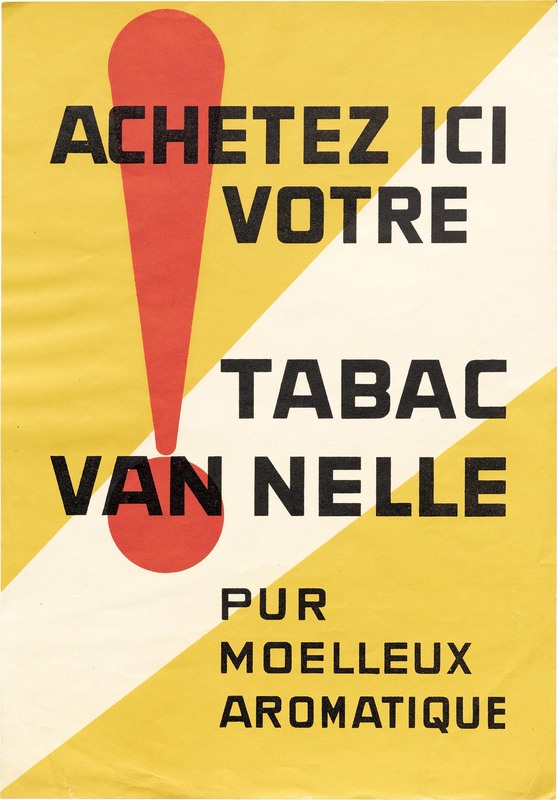 Join us Thursday, September 27, for Letterform Archive Salon Series 09 when our curator Rob Saunders will explore much more from the Van Nelle collection. Keep updated on what else is new at Letterform Archive: join our mailing list.